Where health care professionals go for their dental care. People often ask their physicians for recommendations when looking for health care providers. After all, professionals in the health care community have inside knowledge about the quality of care provided and the degree of success achieved by their fellow doctors and dentists. They use that knowledge when choosing a provider for themselves as well. 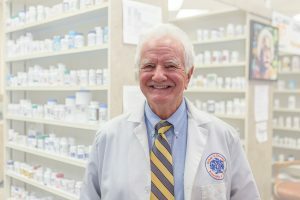 While looking for a local dentist, Roger Accardi, PharmD, a clinical pharmacist and president of Accardi Clinical Pharmacy, took advantage of his association with the community to make his decision. The qualities he looked for were competency, educational background and character. He also wanted a dentist who was kind. After reviewing dentists in the area based on his criteria, Dr. Accardi chose Richard C. Montz, DDS, of River City Dentistry in DeBary. Dr. Montz offers comprehensive cosmetic, restorative and family dentistry. The personality of the practice was especially important to Dr. Accardi. He felt he wasn’t getting the personal attention he wanted from his previous dentist. He got the sense that wouldn’t be the case at River City Dentistry, where Dr. Montz’s patients speak highly of the dentist and his staff. At around the same time that Dr. Accardi began looking for a new dentist, Dr. Montz began using Dr. Accardi as his personal pharmacist. That gave both doctors an opportunity to get to know one another personally and on a professional level. Dr. Montz values Dr. Accardi’s expertise as well. He often asks the pharmacist about various physicians in the area, as well as what he thinks about medications. On a personal level, Dr. Accardi admits to having a longstanding fear of dentists and a particular dislike for the local anesthetic injections that typically precede the actual dental work. Dr. Montz and his staff routinely work with all their patients, fearful or not, to help make them as calm, comfortable and relaxed as possible during their dental appointments. “Whether they’re fearful or not, I treat all of my patients the same way,” Dr. Montz stresses. “A fear of needles is common, and not getting numb for procedures is another big fear of many patients. They’re afraid of being in pain while having their dental work performed. “We take a few extra steps to prevent that and make getting the injections easier. We pre-numb our patients and take our time giving the injections. I’ve studied different modalities and the best areas for injection because all people are not the same. It’s not a one-size-fits-all scenario. Dr. Accardi can attest to that. As a patient, Dr. Accardi sees Dr. Montz for routine cleanings and checkups. He’s also in the process of getting some extensive dental work performed. A portion of the work has been completed. “I’ve had crowns and some anterior repair work already done, some of it rather complicated from what I gather,” Dr. Accardi reports. 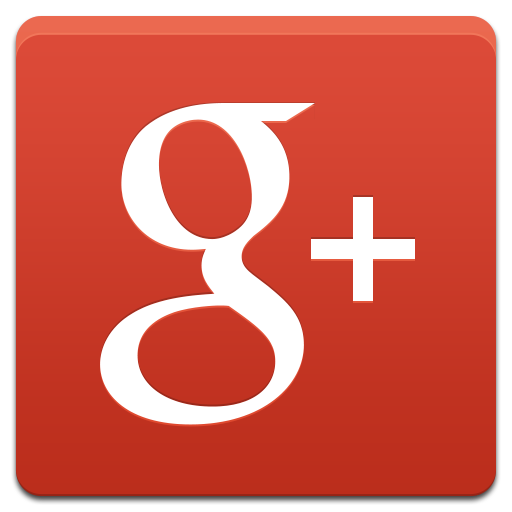 “I also needed some orthodontic work, and Dr. Montz made extensive recommendations as to whom I should use. Dr. Accardi’s desired goal for his teeth. Dr. Accardi is not the only doctor who’s chosen Dr. Montz as their dentist. But, the dentist emphasizes that all patients of River City Dentistry are treated equally – with kindness, compassion, skill and quality care. Those are reasons doctors and non-doctors alike have confidence in Dr. Montz. “We have several patients who are doctors who travel an hour each way to come to us,” Dr. Montz says. “We have other patients who aren’t doctors and know nothing about medicine who travel two hours each way. As a member of the local medical community for years, Dr. Accardi has had the chance to evaluate many aspects of other health care providers’ practices. One of these aspects is the cost of care provided. Dr. Montz and his staff at River City Dentistry. 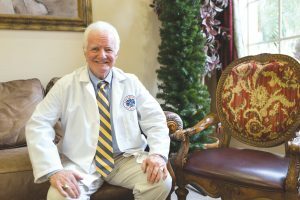 He’s so pleased with the outcome of his treatment so far, he regularly shares the word about Dr. Montz and his practice. Dr. Accardi has developed tremendous respect for Dr. Montz as a colleague. He finds the dentist knowledgeable, skilled and experienced. As a person, he sees the dentist as kind, compassionate, honest and sincere.